School Yard Signs 24x36 2-Sided. Corrugated plastic yard signs are great for political campaigns, real estate, construction companies and small businesses. Great way to advertise for a low cost. 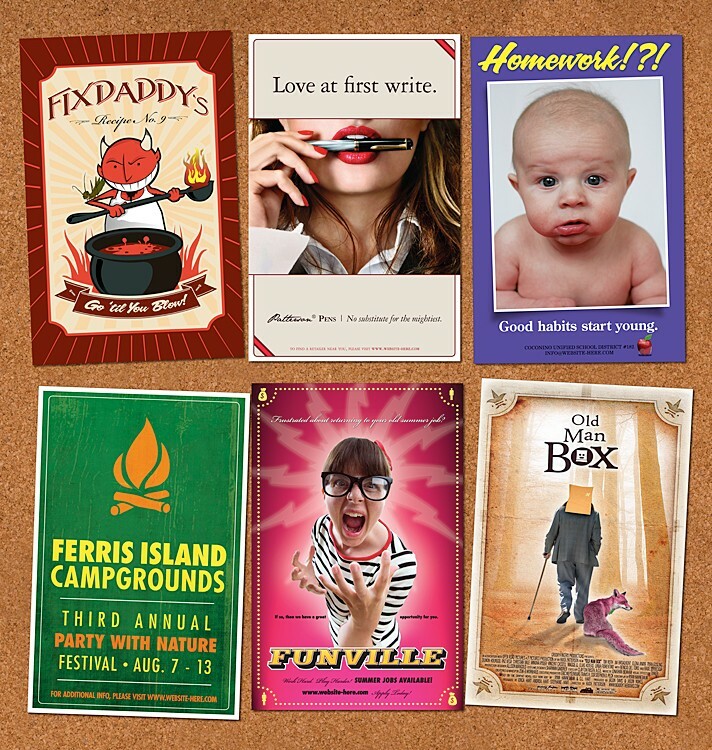 These signs are imprinted using full color digital printing to create a lasting impression for your brand. We use White 4mm polypropylene plastic to manufacture our signs. Yellow is available in some sizes. H Wire stand optional. 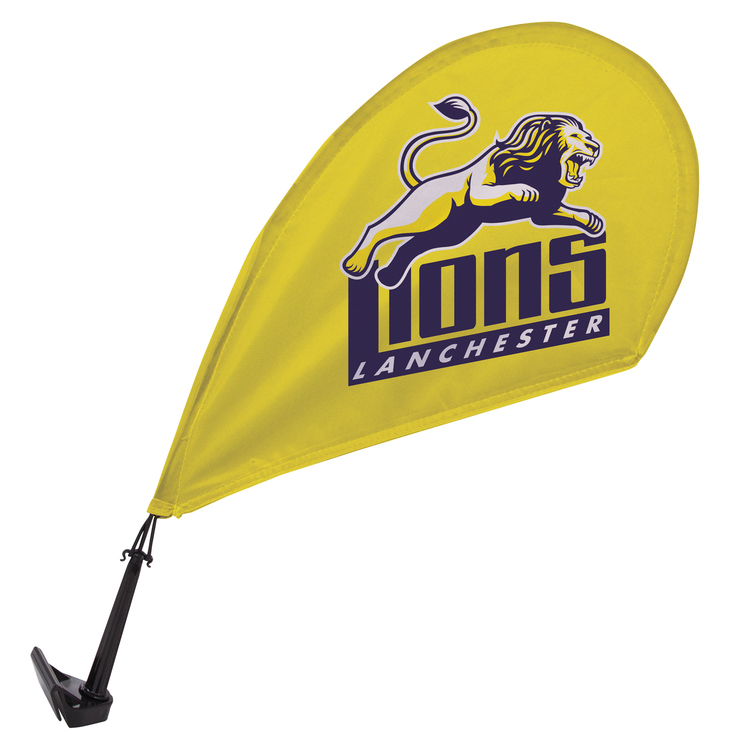 This small, versatile flag is a creative option for advertising or showing off team spirit. Graphic is dye sublimated on super poly knit fabric. Clip-on base can be used for just about anything, including sale-aisle promotion and warehouse labeling. Minimum quantity of three. Flags have a one-year warranty when used indoors and a 90-day warranty when used outdoors. One-year warranty on base and pole hardware. • Tasteful Billboards for the Real-estate Agent, Service Company, Developer, Politician or any advertiser that wants cost effective recognition. 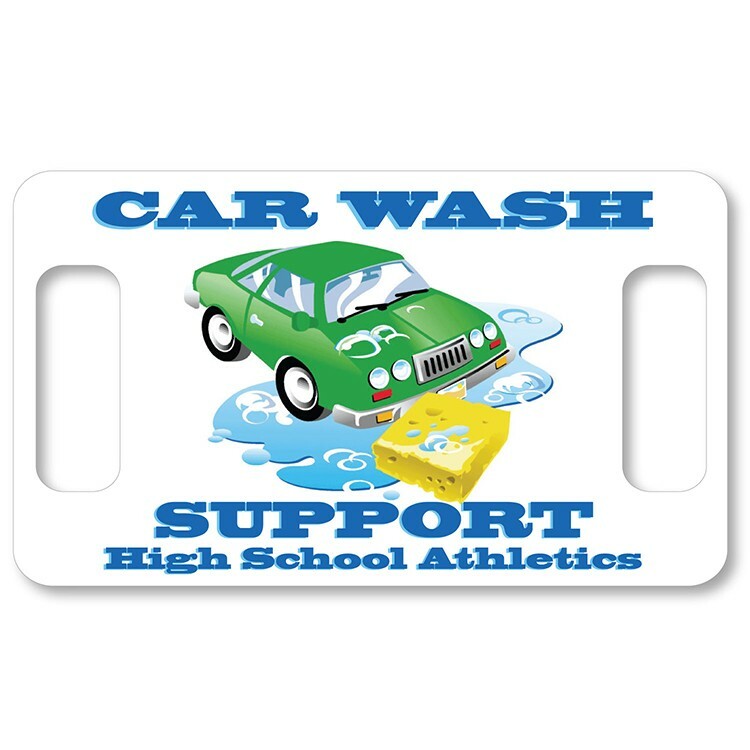 • Approximately 3/16” White Board, Screen Printed for UV weather resistance and durability. • Wire Ground Stands Available $1.02(g). 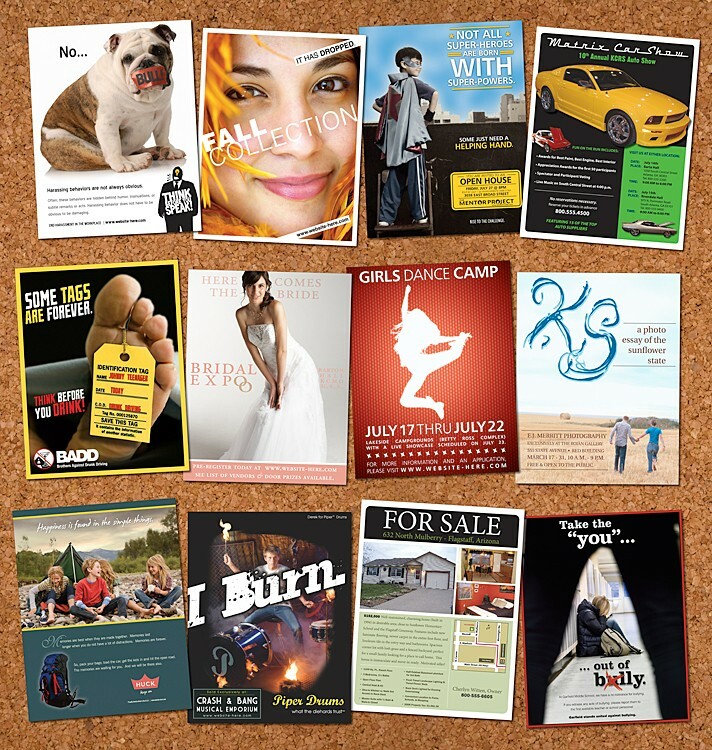 • Custom sizes or shapes... call for a Kwik-Quote™ Imprint Size within 23-3/4" x 7-3/4" - no bleeds No Set Up Fee! Form your new marketing plan with this 18" W x 12" H Sign with Handles! This rectangle rally sign features handles molded into the .1875" white corrugated plastic with a full edge to edge imprint area. It's made in the USA and includes a one to four color process imprint on both sides. Give a lift to your political or school rallies while staying cool the old fashioned way! 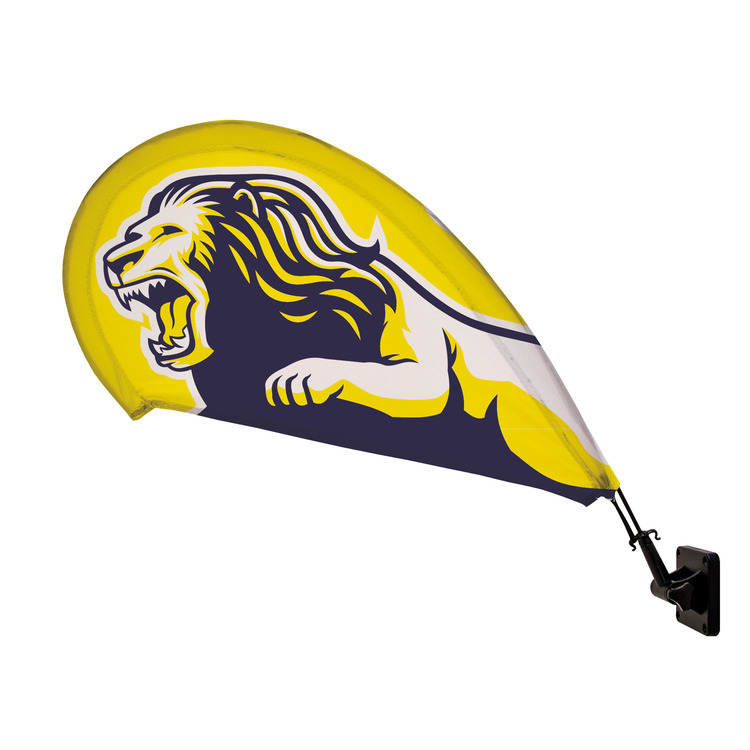 This small, versatile flag is a creative option for advertising or showing off team spirit. Graphic is dye sublimated on super poly knit fabric. Magnet base securely mounts on any steel surface, and the rubber base prevents scratching (not intended for use on vehicles in motion). Minimum quantity of three. 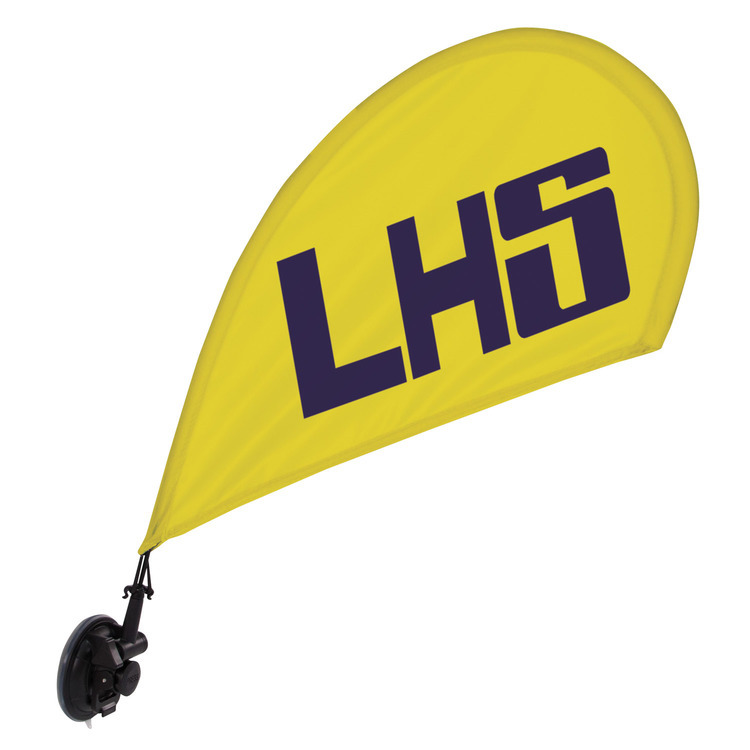 Flags have a one-year warranty when used indoors and a 90-day warranty when used outdoors. One-year warranty on base and pole hardware. Die Cut from corrugated plastic material. Waterproof and weather resistant imprint. Approximately 5" x 24" in size. Made in the USA. 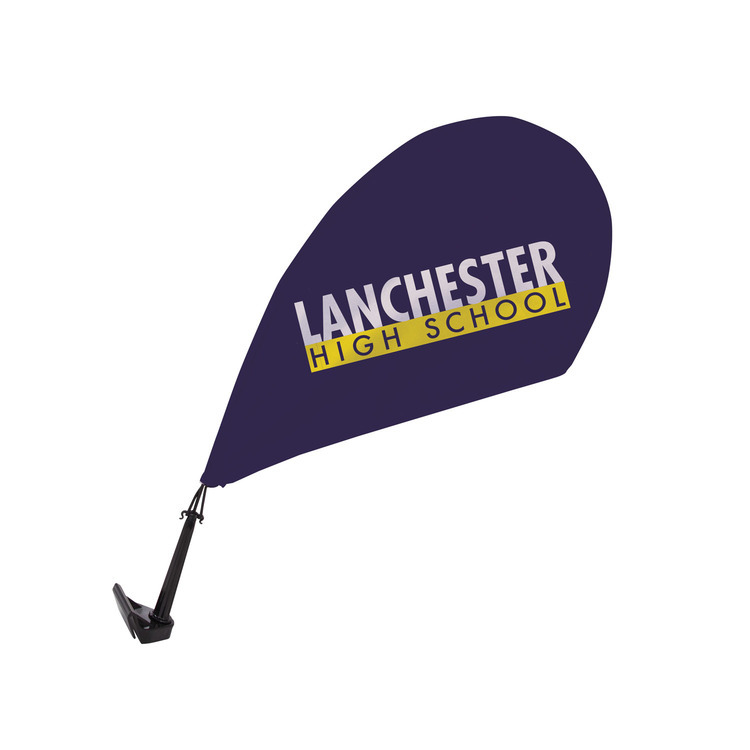 This small, versatile flag is a creative option for advertising or showing off team spirit. Graphic is dye sublimated on super poly knit fabric. Vehicle base slides onto your vehicle window (not intended for use on vehicles in motion). Minimum quantity of three. 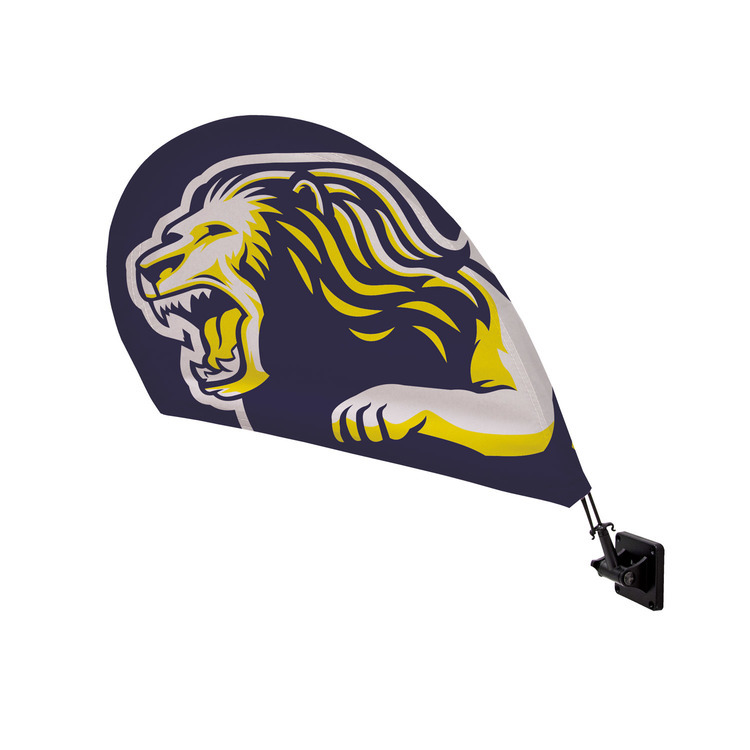 Flags have a one-year warranty when used indoors and a 90-day warranty when used outdoors. One-year warranty on base and pole hardware. 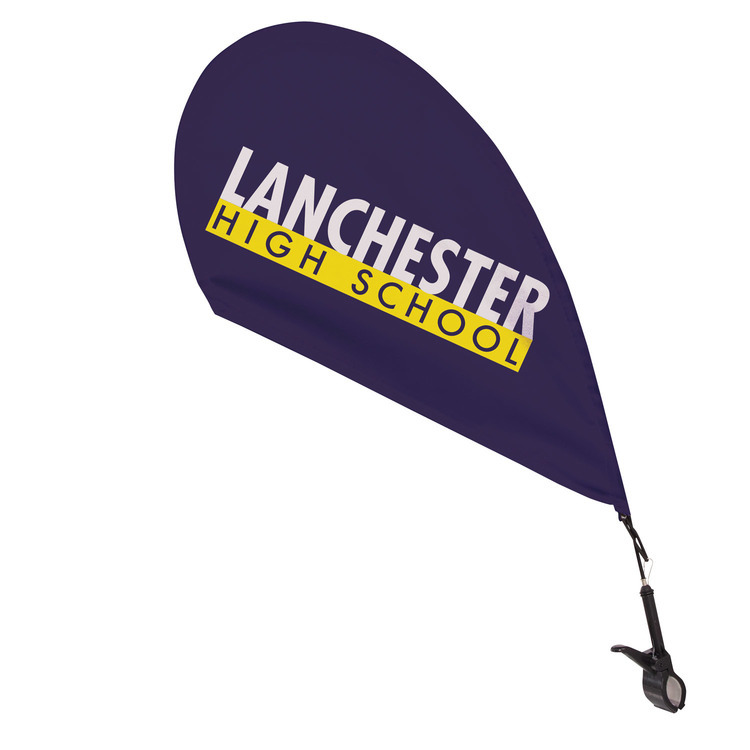 This small, versatile flag is a creative option for advertising or showing off team spirit. Graphic is dye sublimated on super poly knit fabric. Suction cub base attaches to most flat, nonporous surfaces. Minimum quantity of three. 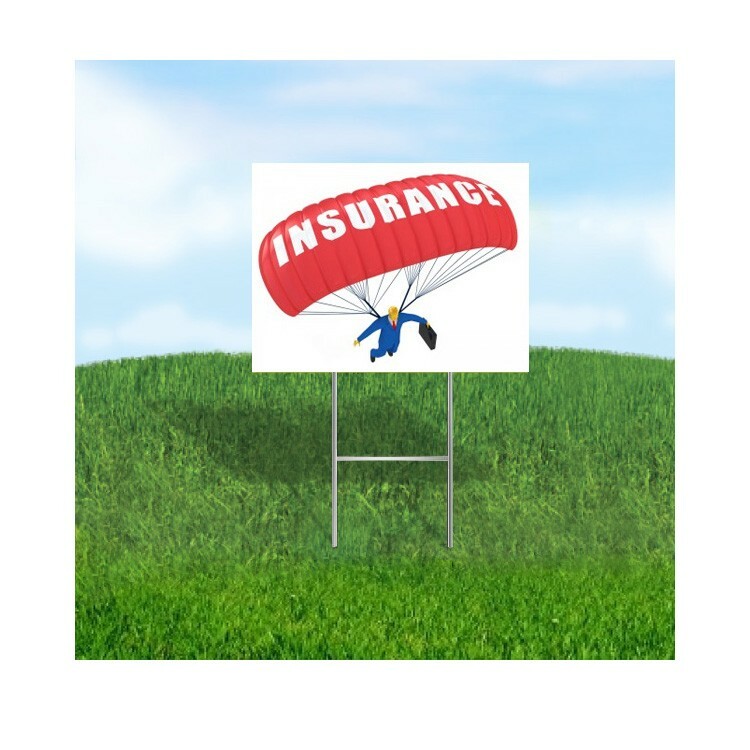 Flags have a one-year warranty when used indoors and a 90-day warranty when used outdoors. One-year warranty on base and pole hardware. 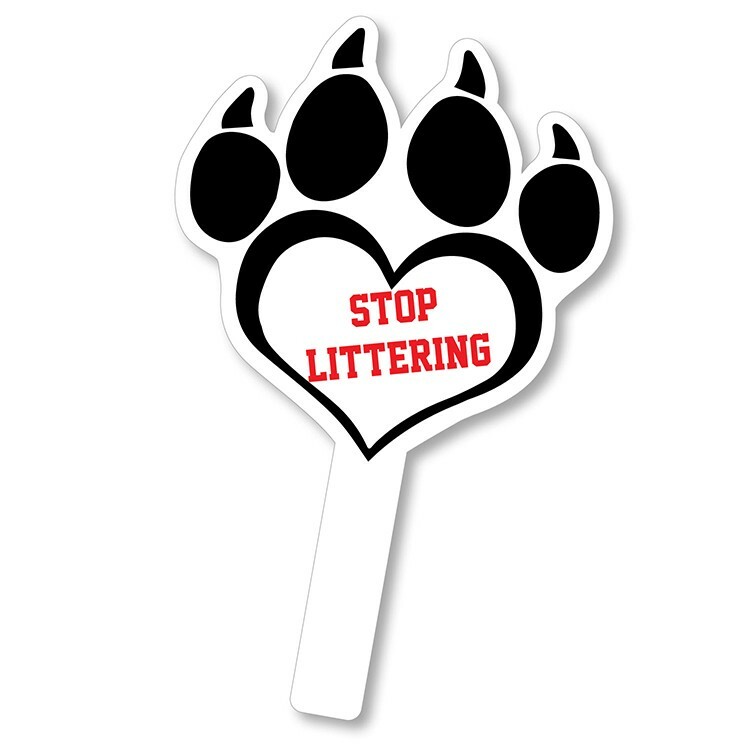 Launch an attack on the competition with this Paw Print Hand Sign/Fan! The 14" fan can be used as a rally sign and is made in the USA. It's constructed from .1875" white corrugated plastic and has a big 8" x 8" imprint area. A one to four color process imprint on both sides is included. 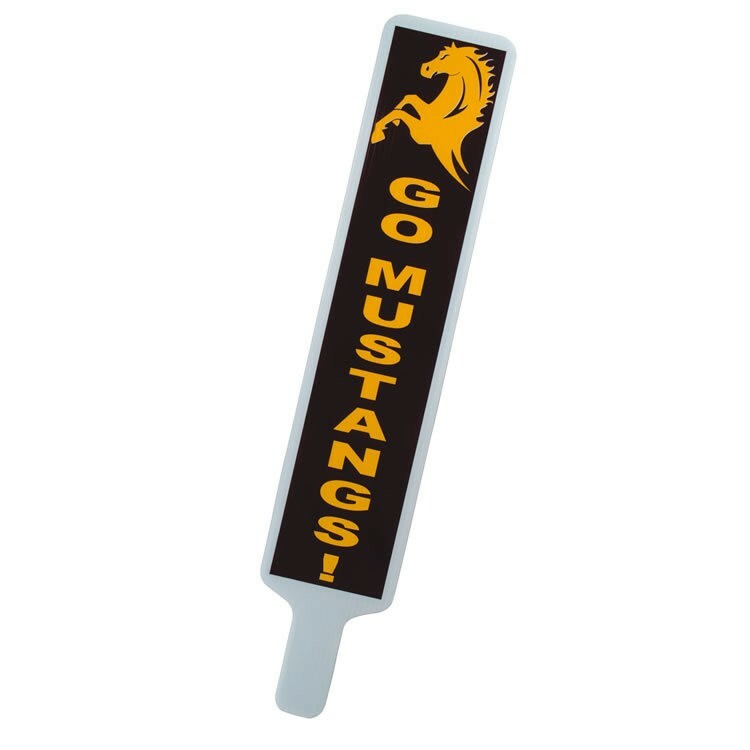 Keep cool the old fashioned way or use this promotional item at political and school rallies to boost support for your team or candidate. Push toward success! 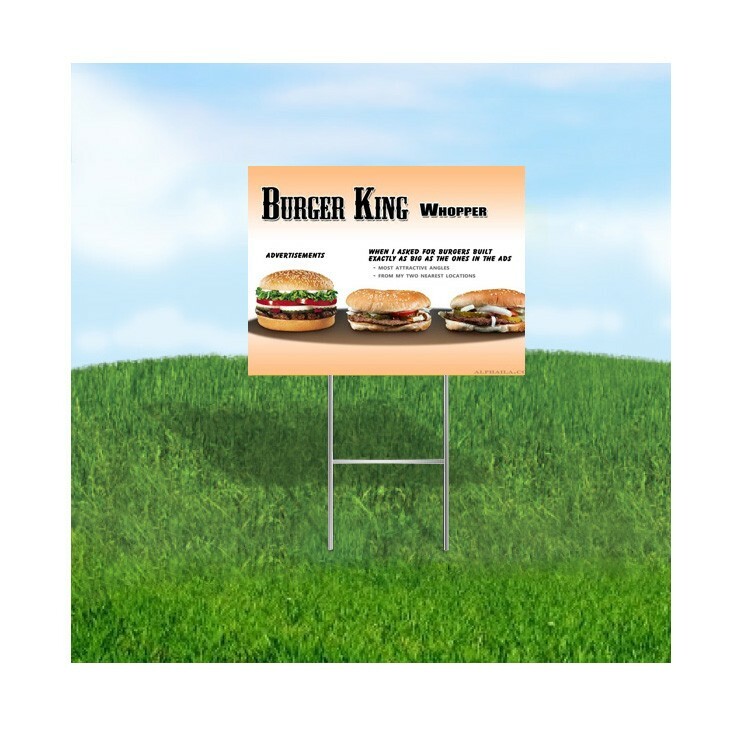 Digital Lawn Signs 18x24 2-Sided. Corrugated plastic yard signs are great for political campaigns, real estate, construction companies and small businesses. Great way to advertise for a low cost. 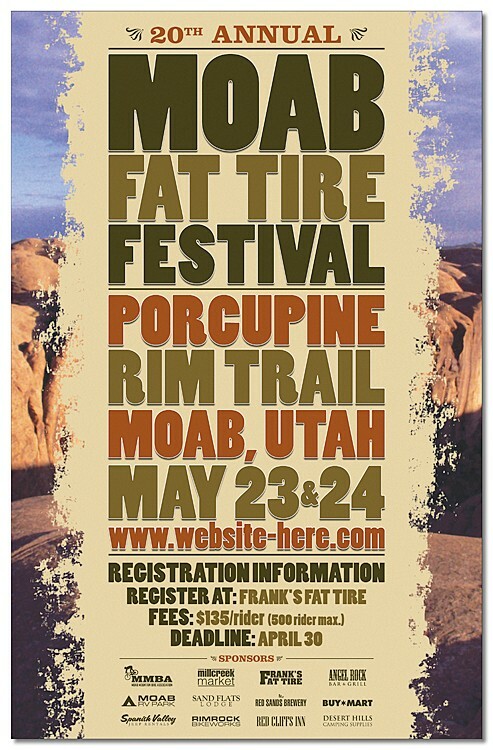 These signs are imprinted using full color digital printing to create a lasting impression for your brand. We use White 4mm polypropylene plastic to manufacture our signs. Yellow is available in some sizes. H Wire stand optional. Get on board with your new advertising campaign by using the Rectangle Hand Sign/Fan! It doubles as a rally sign and measures 14"h. It's made in the USA from .1875" white corrugated plastic with a big 5"w x 11"h imprint area. A one to four color process imprint on both sides is included. 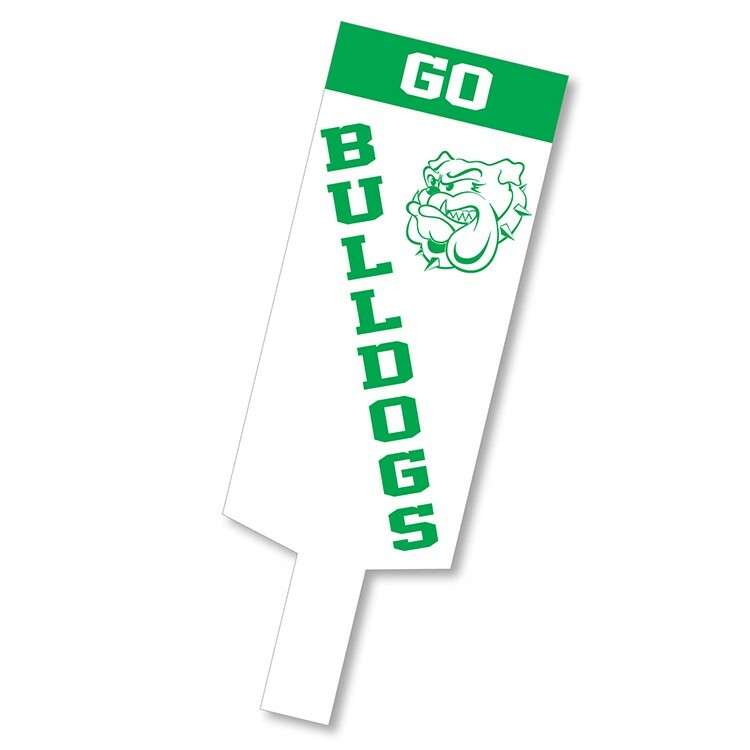 This promotional product is great for political and school rallies while providing an old-fashioned way to keep cool!